With Facebook Groups, Facebook is trying to give more visibility to this little used feature. After rumors of a possible professional version of Facebook, the social network launches a mobile app specially dedicated to groups and soberly entitled Facebook Groups. For Android and iOS devices, the app provides easy access to groups and notifications, to create new one and manage them from a mobile device. Facebook groups allow you to group several people around a particular area of interest and discussion in a placeholder. Within a company, they can be particularly useful for meetings or appointments, share documents, and interact with people on the road or telecommuting. The groups also help to unite a community around a topic. 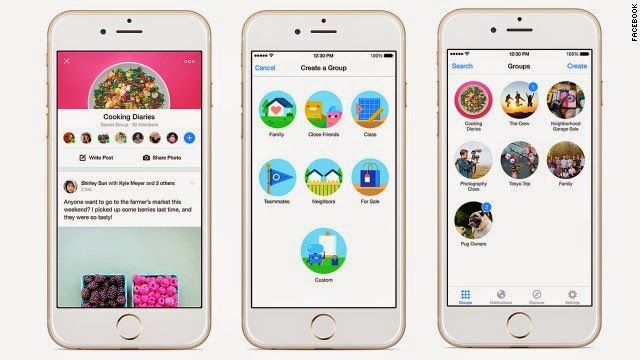 Facebook groups app requires an additional download like Facebook Messenger.